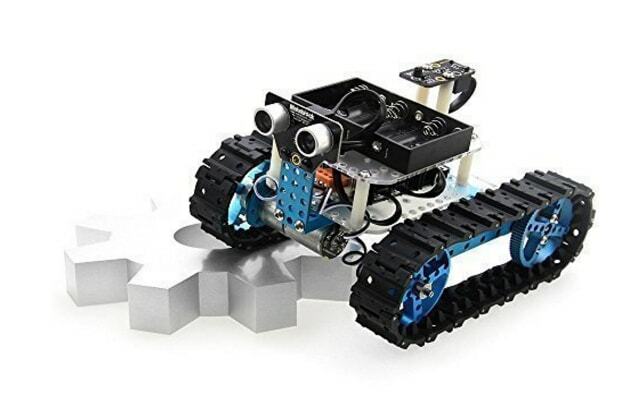 Robotics is a really fun field that can help you learn a lot about electronics, mechanics, and programming—and with more and more robot kits out all the time, it’s an increasingly easy hobby to pick up. These 12 kits will help any beginner build their first robot, whether you’re looking for an Arduino project, a Raspberry Pi bot, or a completely self-contained kit. The Zumo is a tiny little robot that doesn’t require any assembly, which makes it a good choice for first-time robotics project. At less than 10 cm on each side, this is one of the smaller bots that available. 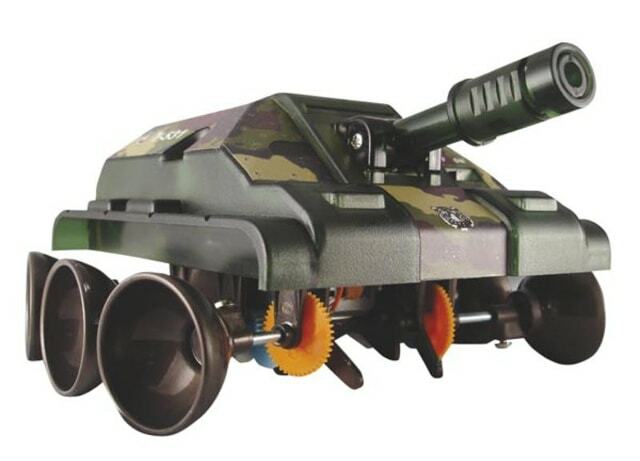 Its tracked design and stainless steel blade make it fun to play around with—you could use it to pile up paper clips, chase your cat, or even battle other little bots! The built-in obstacle avoidance and line-following capabilities give the Zumo some good navigational abilities, as well. Just add an Arduino UNO or compatible controller and 4 AA batteries, and you’re set to go. 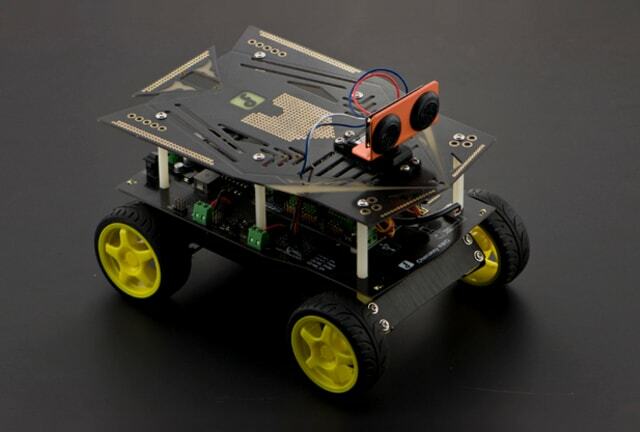 Built around the Board of Education (BoE) and a small robot chassis, this robot is perfect for robotics, electronics, and programming learners. 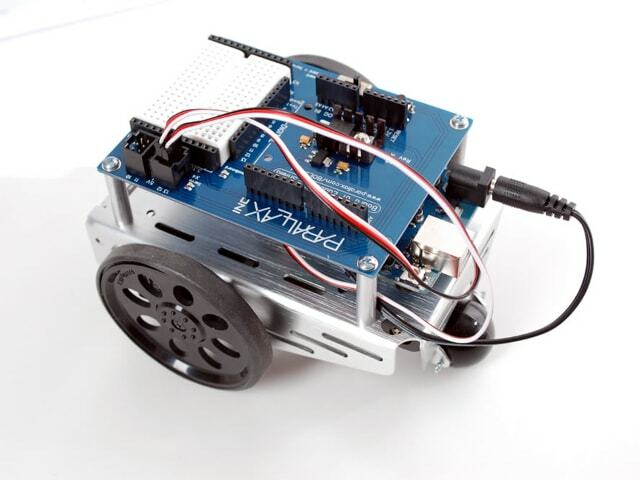 With this robot kit, you’ll learn the basics of Arduino programming, as well as use some more unique features, like touch-switch activation for obstacle avoidance, phototransistor operation for navigation by light, and infrared sensors for measuring distance. You’ll need to provide your own Arduino UNO and USB cable, but everything else—even including a little screwdriver—is included. 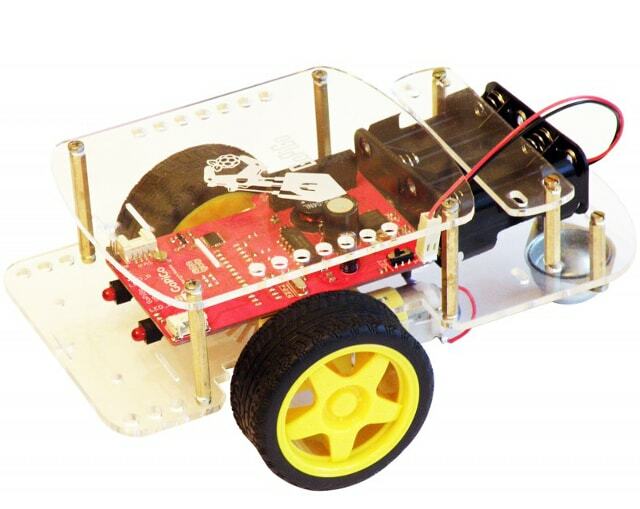 By adding 4WD and iOS control to a wheeled robot kit, the Cherokey will help newcomers to robotics learn a number of new concepts, and the included Romeo board (an Arduino-compatible microcontroller) adds useful robotics-specific functionality. The body of the Cherokey has quite a bit of extra space so you can add other components, like a robotic arm, more sensors, buzzers, or LEDs to further bolster your robot. Not many kits let you operate your robot from your phone, and $110 is a fantastic price for this functionality and a microcontroller. Just add five AA batteries. With four legs, each housing three servo-driven joints, this robot can do a lot of different things—it comes with Arduino sketches for walking and dancing, but the options are really only limited by your imagination. 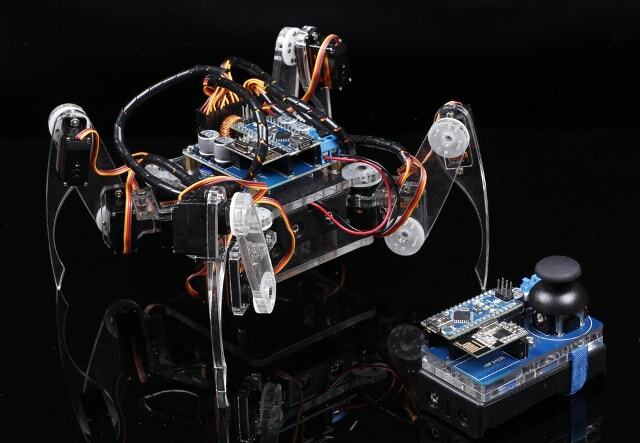 The included wireless controller also expands the potential uses of this crawling bot. You’ll need to provide four Li-Ion batteries, but the Arduino-compatible SunFounder board that controls the robot is included. 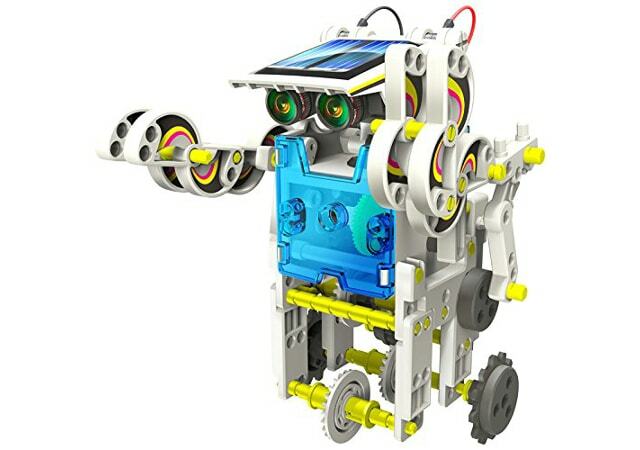 With an aluminum body, the Makeblock starter robot gives you a solid, durable base to learn the basics of robots and electronics on. This Arduino-powered kit can be constructed as either a tank or a three-wheeled car, and assembly doesn’t require soldering, making it an good option for learners. Makeblock products are compatible with Lego Technics, letting you further customize your robotics project with fun accessories. 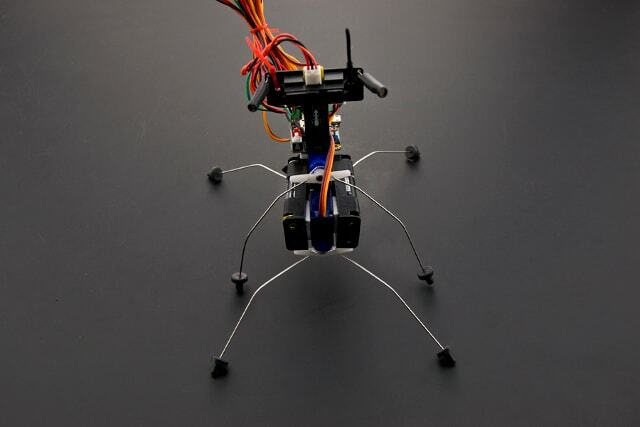 The newest generation of the InsectBot, the Hexa, is a six-legged walking machine powered by three micro-servos and four AAA batteries. 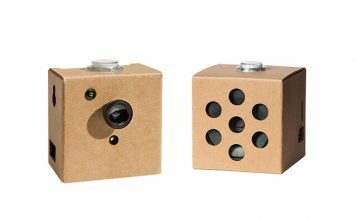 It includes a Bluetooth-capable Leonardo Arduino, making programming easier than ever, and supports Ardublock, a visual programming language. These facts combined with the great price make this a solid option for any beginner, though some soldering is required in assembly. While Arduino is the undisputed king of robotics, you do have a few options if you’re looking to control a robot with a Raspberry Pi. The GoPiGo is a very simple two-wheeled robot that only requires a chassis, a few motors, some wheels, and batteries. 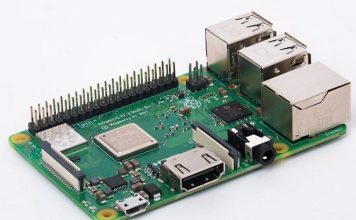 Supply the Raspberry Pi, and you’ll be ready to unleash your robot on the world in 20 or 30 minutes. 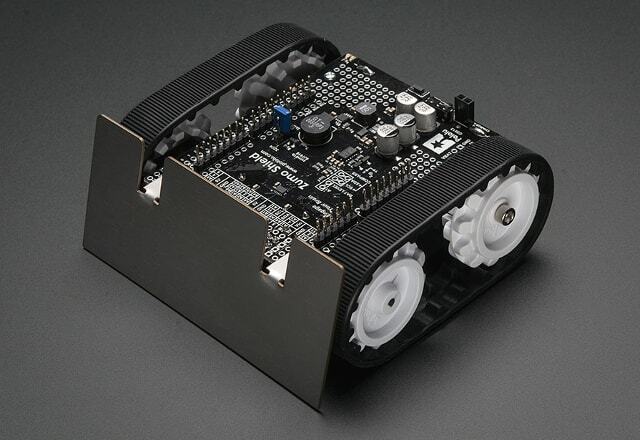 Its simple construction means the GoPiGo could serve as a great platform for expansion, or even a Pi-Arduino hybrid bot! 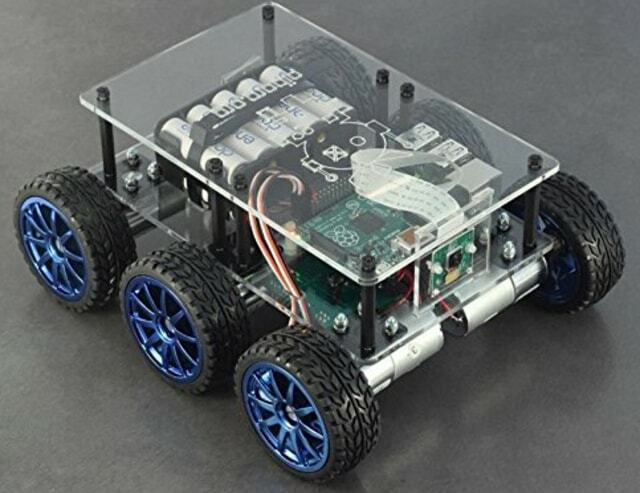 The DiddyBorg is a highly capable Raspberry Pi robot: six high-torque metal motors, six wheels, motor and battery controllers, and an acrylic chassis. Just add a Raspberry Pi and 10 AA batteries, and you’ll have a robot that can climb 45º inclines! The assembly is somewhat complicated, and requires soldering, but when you’re finished, you’ll have one of the baddest Raspberry Pi robots out there. The large chassis also makes it quite expandable. 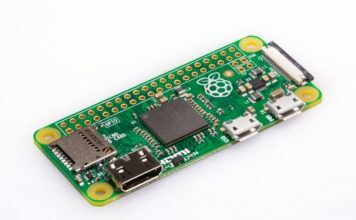 It’s a rather expensive option, but it’s also probably the best one out there for Pi enthusiasts (the website also includes detailed instructions and a better price for UK customers). Although this arm is quite complicated to build, it’s very easy to operate—the five-switch controller controls all five degrees of motion in the arm, including wrist and elbow movement and gripping. 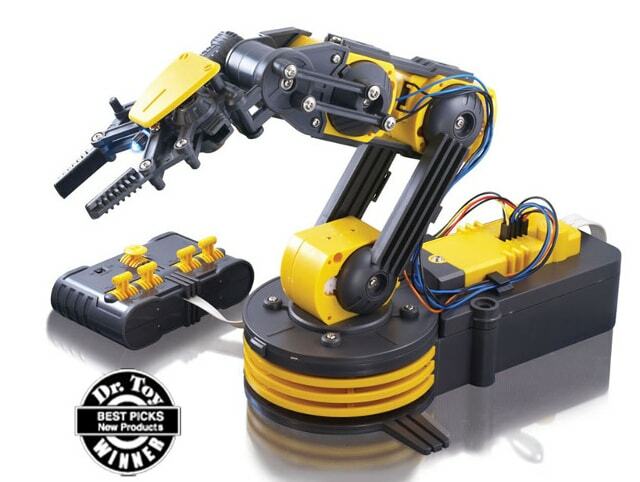 A search light on the gripper and a long-life gearbox make this a cool introduction to robotics that will last longer than some cheaper options, while the $50 price tag means you don’t need to break the bank getting into a new hobby. And there’s no soldering required, which is great for beginners. Why settle for one robot when you can have three? This little tracked bot can function as a forklift, gripper, or rover—the forklift and gripper can lift loads up to 100g, and the rover can take on rough terrain with its treads. 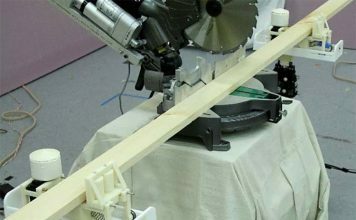 The simplicity of this robot is a big part of its appeal—the only things you need to get it going are a wire cutter and a screwdriver. No soldering is needed. It doesn’t even need a microcontroller! This is a great kit for older kids who aren’t quite ready for something with the Arduino, but want to get into robotics. This set is another great option for kids who are interested in robotics; no soldering or microcontroller is needed, and assembly is very easy. There are two tanks included in the set, and they can be pitted against each other with the included wireless controllers. Fire at the opponent, and if you land a shot, their tank will spin 360 degrees and trigger a siren. 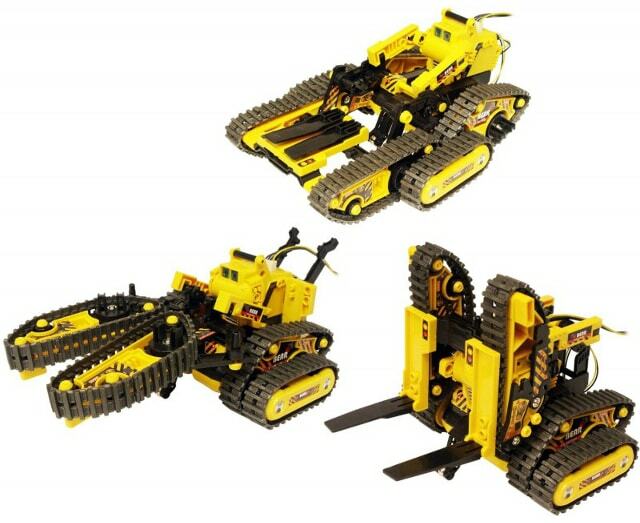 With very simple assembly (all you need is a screwdriver and a pliers) and battling capabilities, this set will appeal to beginner robotics enthusiasts . . . and may even be a good choice for some adults, too! 14 different possibilities, solar power, and two levels of projects (beginner and intermediate) make this a very fun little robot for beginning roboticists. Some of the possibilities include a dog with wagging tail, walking crab, zombie chaser, wheel-bot, and rowboat, and the bot can move on land or in water. This is a great kit for children, and will help them master the basic concepts of assembly as well as some more challenging objectives once they move onto the intermediate level of projects. Have you ever assembled a robot kit? Which one was it? Would you recommend it to others? Share your favorites below!